The look and condition of your landscaping says a lot about you and your property. 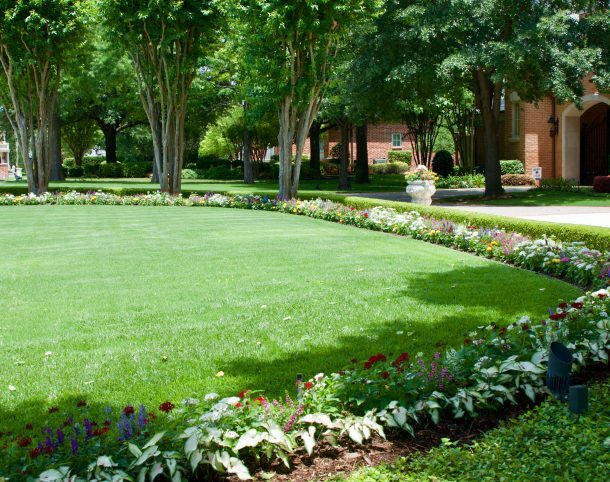 To create a great first impression, we have developed a comprehensive landscape maintenance program using our 45+ years of experience maintaining the region’s finest homes, commercial and public properties. We take a comprehensive approach to care for your landscape by integrating mowing, trimming, irrigation, fertilization and pesticide management. We also offer regular enhancements, such as seasonal color changes to beautify you landscape. Keep your lawn, shrubs and trees healthy by fertilizing them at the appropriate times throughout the year and treat to control or eliminate weeds and unwanted pests. Proper and timely chemical treatment will keep your grass green, your plants blooming, and your trees and shrubs flourishing. High quality products applied by our trained technicians will ensure your landscape is lush and beautiful all year long.